Value added or “up-selling” has been foundational to the success of many concrete companies and continues to be a solid source of potential profit generation. The scope of value added is not just product orientated, but also involves a true understanding of customer needs. 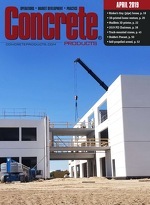 Many customers still miss the full potential value of concrete and services you can provide. Value can come in many forms, for example: improving performance, creating additional efficiency, reducing costs, eliminating waste, enhancing safety, and more. So who is the customer? We have paying customers (contractors and users) and an entire group of influencers (owners, architects, engineers, municipalities, agencies, construction management companies…) who can also have tremendous benefit in the value we have to offer. When looking at the total amount of possible people involved, it can be daunting, but very worthwhile. Often, we think of value added to only be products like fibers, corrosion inhibitors, plasticizers, accelerators, or SCC, but there are additional opportunities to consider. Take, for example, helping an owner change a structure from steel to concrete. It may seem farfetched, but in actual cases, it has saved owners millions of dollars, which is far more than the total price of the concrete. Who wins? The owner in total project costs, the engineer/architect in fees for redesign, the concrete contractor in increased business versus steel erection and the ready mixed producer. Obviously, this takes an increased level of sales outside the comfort level of many producers, but does set an example for what’s possible if you have the time and value added skill sets within your business. Having an understanding of the performance potential within your business (product & services), along with allowing time to pull the order through, and having a level of comfort with your customer's business are all real challenges when it comes to increasing value added sales in your business. I find many producers are challenged just finding the time to ask the additional questions, let alone to respond to potential opportunities. Obviously, many producers are operating at “bare bones” when it comes to staffing, so addressing new orders and building backlog with a focus on volume becomes the “daily mission,” but creating methods to chisel out additional value added time is beneficial. Remember, identifying and adding value allows for less overall volume to achieve similar or improved results, as well as sets your business up for an even brighter future. So, how valuable is your value added sales time? Do you have a strategy to invest the time needed to achieve the results targeted and have you set goals for the targets? There is the old saying “that which is measured will improve,” and the culprit to your value added strategy could be as simple as time allocation, but not flushed out until measures and targets are put in place. As with most functions, the balance of time management is important and in discussions with many ready mixed sales professionals, the consumption of their time to commit to value added often challenges the businesses' focus on volume. Finding this balance can be very rewarding to both the business and the representative and can be implemented with a variety of strategies. As an example, one producer I worked with now allocates 1.5 hours a day (20 percent) of their real daily time to value building and/or demand creation. Doesn’t seem like much time, but the results are impressive with value added growth now representing over 44 percent of every yard sold, with a premium of over $2.00/yd. Allocation strategies exist as well that can move your business to an increase in value added sales. Having a sales team that understands the full potential of your business and concrete is another critical factor to value adding. Historically, as an industry, we have allowed a fair amount of the demand creation for what we considered value added products to be driven by our suppliers (mainly additive suppliers). In the past, a number of suppliers had teams of people in the field working with influencers (specifiers) and our customers (contractors) generating demand for their products through specifications ultimately to the benefit of producers. In some ways these efforts from the suppliers could be seen as a “golden goose,” providing increased value added opportunities with minimal effort needed from the producer. Over the past years, this effort has been reduced due to pressure on their margins and commoditization with some of the products, causing these companies to reduce and dilute their efforts covering broader markets with fewer representatives. Without this added effort and support, demand creation repositions more to the producer, which entails additional effort on a daily basis. It also supports the need to better understand the true performance characteristics of the concrete you produce and services you can provide. Each representative interacting with the customer should be trained and have a clear understanding of how to manipulate your concrete performance and modify your services to the benefit of the customer. One of the biggest potentials of value adding is having an understanding of your customer's business and the needs of the influencers. Something as simple as a feel for what your customer's hourly costs are can affect an opportunity for accelerators to speed finishing, but it may also provide support for sharing placement rate information—derived from dispatch system and truck status data—to help them improve their business. Understanding their total costs of reinforcement to better promote the use of fiber reinforcement is another area of low-hanging opportunities, but also helps you better understand their cost structure. In each project the “relative rate” of the cost of concrete varies. For instance, a shear wall from the contractor's perspective may be $270 sq. ft. with the concrete representing a smaller portion than, for example, a simple slab at $2.00 sq. ft., where concrete cost may represent over 50 percent of the total. In both cases there are opportunities to influence the outcome and add value, but it’s important to know where the value stands and how much influence you can have. How often do you ask your customer if you can work with them to find additional value/savings for them? It’s a simple question that may lead you down a path of opportunities. Finding the time to allocate to influencers is also important. Often seeding the “pipeline” with an understanding of what you can accomplish helps not only the work of today, but in the future as well. Influencers come in many forms and are at times hard to flush out, but staying persistent and having an awareness of their participation can be the key to unlocking additional value. The topic of value added and the number of ways a ready mixed producer can benefit could easily fill a book, but at the core you need to allocate the time, be comfortable with the potential of your own business, as well as have an understanding of your customer's business. Doing so is a formula for finding more value added opportunities (yards) and increasing profits.